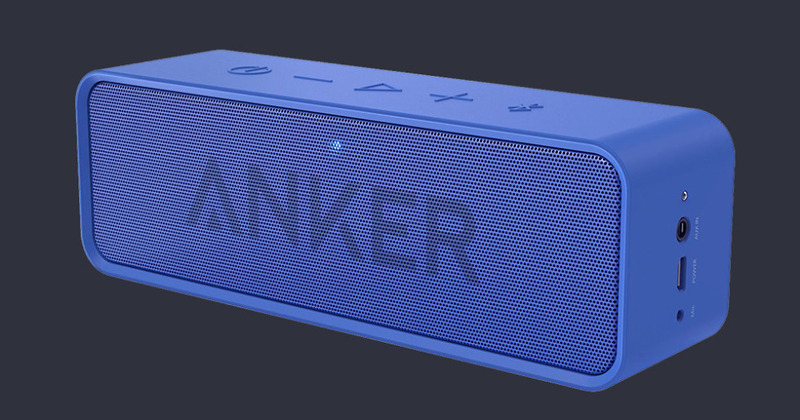 Today’s deal of the day at Amazon features Anker’s super popular SoundCore Bluetooth speaker. And when I say “super popular,” I’m talking about 7,500+ reviews and a 4.6 star rating. For today only, you can grab the SoundCore in black, blue, or red for just $26.99 ($9 off). This particular speaker sports 24-hour battery life, Bluetooth 4.0, microphone for hands-free calling, and “full-bodied stereo realized through dual high-performance drivers and a unique spiral bass port.” All I know is that there are tons of cheap Bluetooth speakers on the planet, but this has always been ranked one of the best overall values. Anker makes good stuff. EDIT: We removed the $53 off remarks. It appears that the speaker typically costs around $36, not the inflated $80 price Amazon suggests. Apologies for that.